What If You Also Need Doors with Those Canopy Top Replacements? When many people are asked about canopy top replacements, they forget about one thing. The roof may not be the only part of the canopy that needs replacing. So, before purchasing a replacement top, its best to examine the whole canopy for signs of wear and tear. Two problem areas that come to our minds are the front and rear doors. 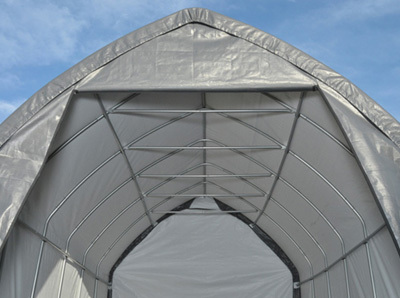 Many modern, canopy doors boast zippers to keep out the elements. Understandably, they may get exposed to a lot of moisture. In addition, the fabric around the zippers may fray or tear due to repeated sun exposure. The elements are not the only things that have the potential to destroy a canopys zippered doors. Theres also normal wear and tear. So, as people go in and out of the zippered doors, they could accidentally bend the zippers teeth or cause other damage over time. Sometimes just the zippers can be replaced. Other times, like when the fabric around the zippers is damaged too, an entire new canopy door will be needed. Thankfully, the doors are sold individually. Accordingly, they may be added to canopy top replacement orders as needed. The replacement panels that we have in stock are sold that way. The individual, zipper-clad doors come in a number of sizes, starting with a 10-foot panel. The panel widths increase in two-inch increments, capping out at 18-foot panels. However, custom replacement doors are available too. They may just take longer to make depending on canopy replacement customers wishes. For example, we work with plain white canopies as well as carnival and fiesta patterns. Furthermore, we are capable of adding other elements to the doors, including traditional window enclosures. To learn more about all of the replacements available for commercial and residential canopy enclosures, please contact our team today. 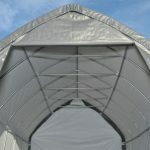 This entry was posted in canopy top replacements, canopy tops and tagged canopy doors, canopy top replacements on December 29, 2016 by Canopies Tarps.